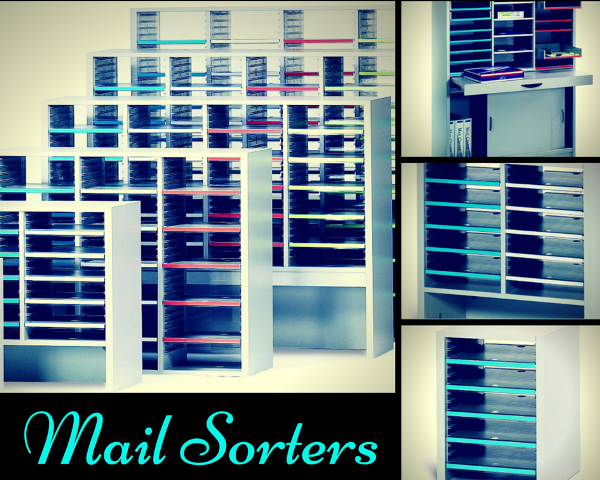 There are a variety of mail sorters. Some have the adjustable shelves at the top and cabinets on the bottom (like the ones you can find here). These work great for storing a mix of forms and office supplies. Forms that are frequently filled out – medical history forms, new hire documents – can be stored in the shelves, while office supplies – pens, computer paper, envelopes – can be kept in the bottom cabinets. Most companies have some kind of marketing collateral: brochures, fact sheets, catalogs, press kits, etc. And mail sorters are ideal for storing it all. Why? Because you can separate everything into categories and keep it in the adjustable shelves with labels for quick retrieval. One of the best features of the mail sorters is the adjustable shelves because they can be moved up and down on 1 inch increments. 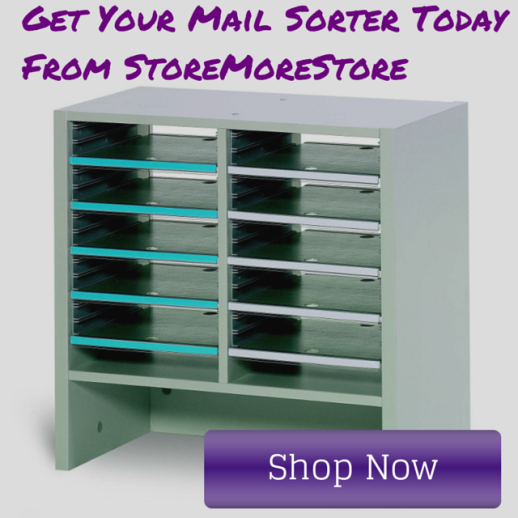 If you sell a product and need to keep samples at the office, the mail sorters are great for keeping them organized. All of these uses so far are for the larger mail sorters, but there are also desktop mail sorters. These are smaller versions that you can put on your desk to store all your documents. And because they use the same labeling system as the larger ones, you can keep everything organized and easily accessible. 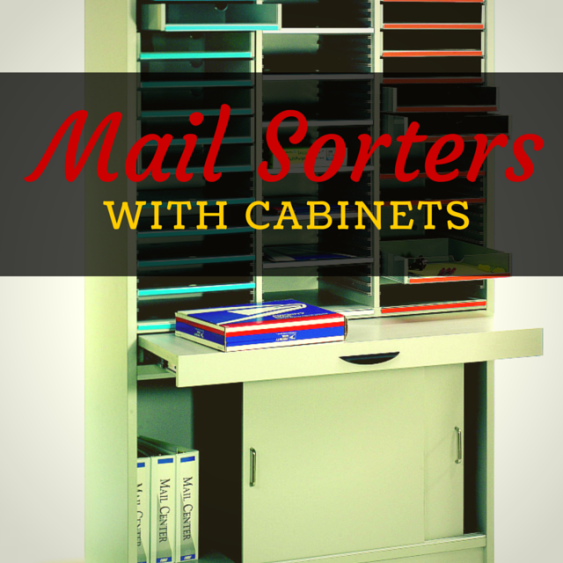 These are just a few uses for mail sorters that don’t involve storing mail. There are definitely many more. As long as you don’t limit your thinking on how you can use them, you might just find a new use for them in your office!